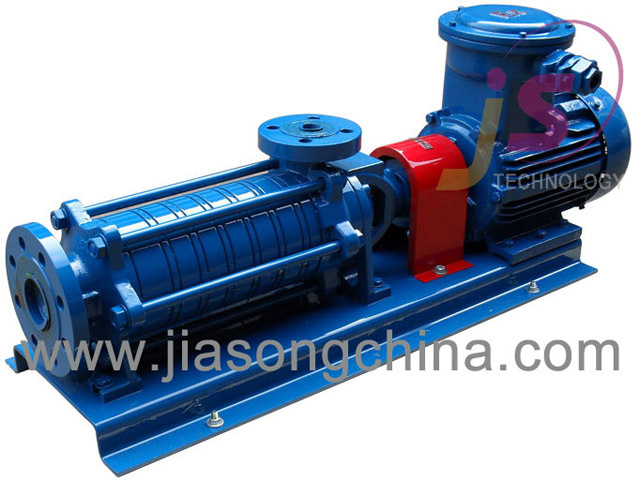 DB-65 multistage pump is a centrifugal pump, which adopts horizontal structure of 6 classes. And the shaft adopts mechanical seal without cooling. The pump is used for transferring LPG, especially it is high differential pressure, low NPSH and the gas of LPG up to 50% when pumping LPG from underground tank. The suction end of the pump adopts precompression turbine, which makes it better in use under the requirement of low NPSH. So this pump can work under the condition of bad suction.